This guidance follows the related guidance on installing the Adverse Drug Reaction (ADR) report template into Medical Director. Open the Letter Writer ( or F8). Select 'File'; 'New', as shown in figure 1. 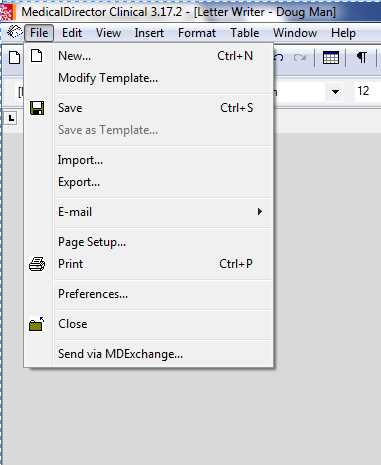 Select 'MD ADR Reporting Form' from the list, as shown in figure 2. 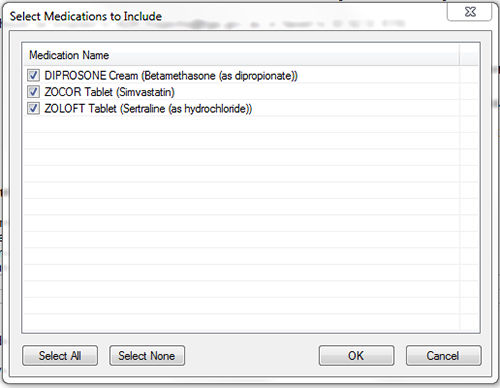 Select all current medicines (suspected and not suspected) and select 'OK', as shown in figure 3. 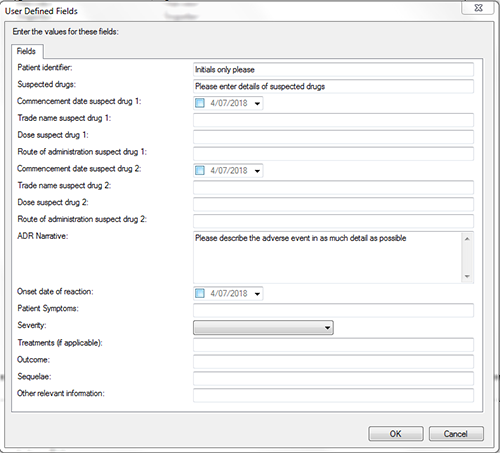 The 'User defined fields' provides fields to enter details about the adverse event reaction. 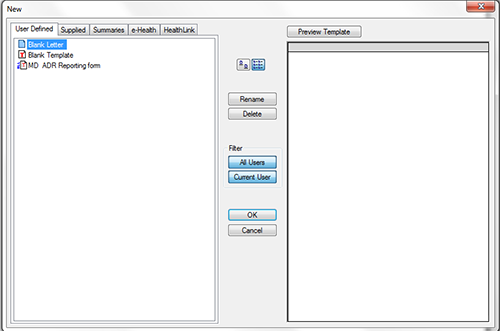 Fields can be navigated using TAB. Save this instance of the report to the patient's record.